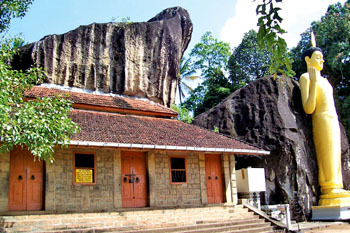 Yatagala Raja Maha Viharaya, Unawatuna. Norwegians Against Terrorism will this year probe Sri Lanka's Norwegian-funded aid projects to uncover LTTE links. NAT is already in the process of collecting evidence for a future class action law suit against Oslo over Norwegian funding of Tiger terrorism, according to the latest NAT report, The International Fight Against LTTE dated January 14, 2007. 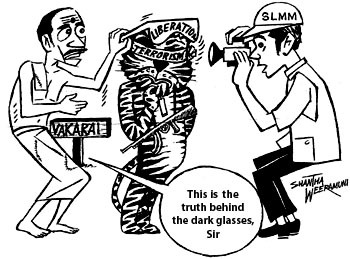 The Liberation Tigers of Tamil Eelam established its foothold in London following the July 1983 riots in Sri Lanka. The primary mover, to establish the first LTTE office in Selborne Gardens in Hendon in Northwest London, was Balasegaram. In a move to facilitate Sri Lankans living overseas to invest in their motherland, the Government of Sri Lanka has decided to embark on a fresh publicity campaign for the Sri Lanka Nation Building Bonds.